Bakker Sliedrecht designs, assembles, installs and maintains complex electrical installations. With excellent service, Bakker Sliedrecht takes care of the desired performance of your assets during their entire lifetime. The roots of the company is in the dredging industry. In the marine sector Bakker Sliedrecht also focuses on offshore applications. Providing drive systems and automation solutions in the heavy industries and infrastructural engineering works and supplying complete solutions for critical power generation. 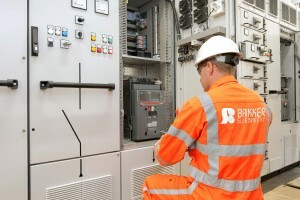 Bakker Sliedrecht is your partner for electrical solutions throughout the lifetime of your assets. From the new build stage, through operations and performing renovations, Bakker Sliedrecht offers tailor made consulting, engineering, installation and maintenance services. The support is 24/7 around the world with their global network of subsidiaries and service stations. It is with passion, know-how and craftsmanship that Bakker Sliedrecht ensures the performance and continuity of your operations. We develop suitable and reliable solutions which are in line with your requirements.